And so we come to the final post in this series. After 10 posts looking at every aspect of the web design process, we come to the moment of truth; making the site live. When is the time to go live? There are several reasons why this question is so hard to answer. First, your website is never going to be perfect. No matter how hard you try there will always be things that could be improved. Whether minor tweaks to typography or rewriting previous content, there will always be changes you want to make. This problem is further exasperated by the phenomenal speed with which things change online. When you start a project you may set out to implement best practice. However, by the time the site comes to launch this best practice may have already changed and your site will have been left behind. These constantly moving goalposts may leave you feeling dissatisfied with your site and that it is somehow not ready to be launched. The other factor that leads to a dissatisfaction and a desire to put off launch, is the amount of time we have poured into the project. We all know that when we work on the same thing for a long period we naturally become increasingly dissatisfied with the result. We have worked on the project too long and only see the problems and so lose sight of the initial impact. All of these factors make is naturally hesitant to commit ourselves and go live. However it is important to remember 2 things. First, until you put your website in front of real users, it is impossible to know whether it is ready or not. Ultimately you have to launch the site and see what reaction you get. Second, although it is scary to launch a website you do not believe is 100% ready, you must remember that the web is not like print. It is amazing how many website owners (especially if they come from a marketing background) forget this. Often their used to commissioning print material that once sent to the printer cannot be changed. Fortunately, this is not the case when it comes to the web. Once you’ve launched the website it is still possible to change any aspect of it. Why then is the fear of launching our websites too soon so great? We fear that users will arrive on our new site, have a terrible experience and never return. Although this is true, I think it is important to define what constitutes a terrible experience. As long as the website is usable and accessible the majority of users will be satisfied. Admittedly the website may not blow them away, but it is unlikely to stop them returning. My suspicion is that it is not the opinion of users which concerns us the most. Often we are more concerned with what peers will think of the website. 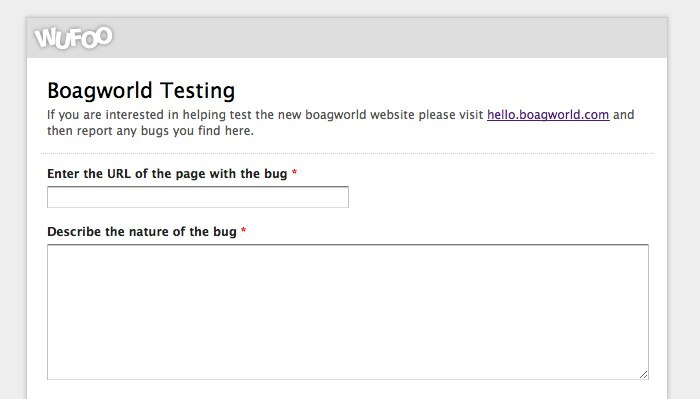 For example, I know that there is still a lot wrong with the new Boagworld website. I can see issues with typography, layout and browser compatibility (not to mention the lack of responsive design). Although I know none of these issues would stop a user returning, they worry me because other web designers make judgements on this type of thing. I’m not suggesting that these kinds of issues or my peer’s opinions are unimportant. However, they shouldn’t hold us back from launching. After all, there are some excellent reasons for launching sooner rather than later. 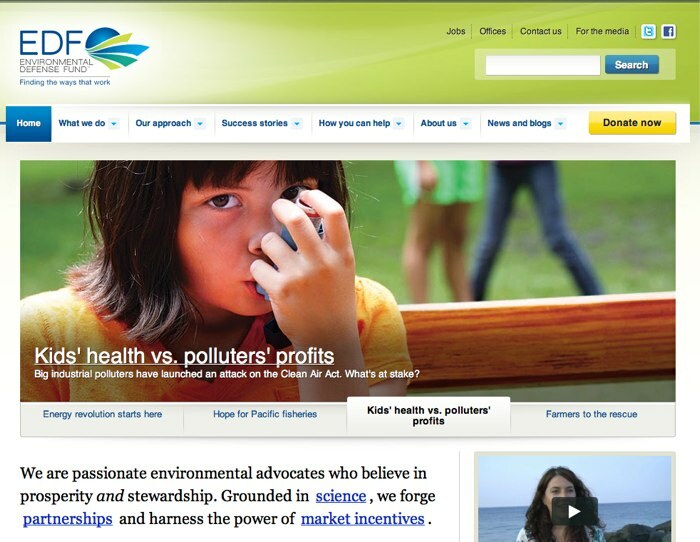 Is the new website better than the old one? If the answer to this question is yes, then there is no reason to hold back from going live. If the new website is better then the benefits of launching early are obvious. Not only will users appreciate the improved site, it will also start generating a return on the investment you make to build it. The earlier it is launched, the sooner you can start reaping the rewards. Rolling out features over a period of time provides additional marketing opportunities. That is not the only benefit of launching early. Take for example the Boagworld Website. Launching the new site has unsurprisingly generated a considerable amount of interest (publicity). However, because the site currently lacks the responsive design I ultimately intend to implement, I’m presented with an opportunity. Instead of having one chance to generate interest in the website, I now have 2. Once when the initial site is launched and then again when I implement responsive design. Launching early (and with incomplete functionality) has enabled me to double my marketing opportunity. Finally, launching early gives you an unprecedented opportunity to gather user feedback. Although usability testing is incredibly helpful during the development process, nothing beats having large numbers of real users interacting with your site. This gives you more opportunities to fix issues and avoid spending money on elements that users don’t want. I’m a fan of launching a new website as soon as it is an improvement over the old one. However, it is important to continue refining the website after launch. One area of particular importance (preferably before launch) is browser testing and quality assurance. 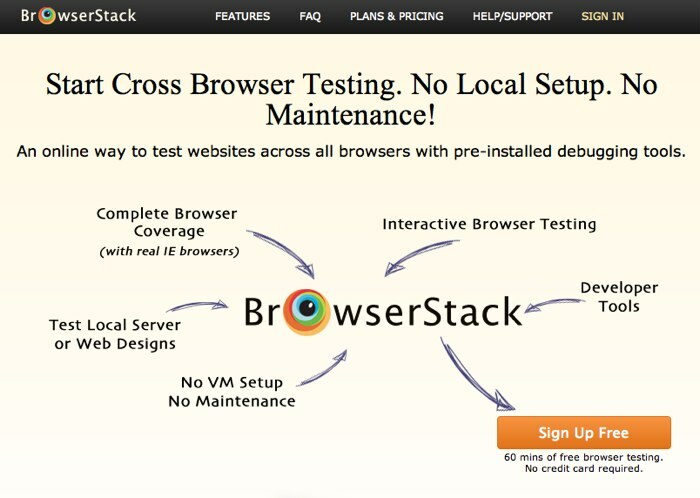 Everybody hates the hassle of testing a website across multiple browsers and operating systems. However, it is important that this is done and not left to the last minute. Many web designers choose to do cursory browser testing as they go along and leave the detailed testing until near launch. This is perfectly acceptable but cannot be used as an excuse for rushing the testing process. Once the site is complete there is a strong temptation to launch. Nevertheless, it is prudent to spend as much time as possible checking the website on different browsers, operating systems and devices. One tool that will help with this process is Browser Stack. This web application allows you to remotely connect to various virtual systems running a wide variety of browsers. It is good practice to look at your website in as many browsers as possible. Even so, that does not mean you need to spend hours fixing the site to look perfect in each one. Although it is desirable to make your content accessible in as broad a range of browsers as possible, you must consider the return on investment. If only a handful of users are accessing the site using a certain browser then the amount of time involved in fixing the site for that browser may not justify the investment. In the case of Boagworld the problem browser was IE8. I was having some trouble ensuring that Internet Explorer 8 would scale appropriately to support responsive design. Although approximately one in 20 visitors use Internet Explorer 8, I discovered that in the last year not a single one had been running it at a resolution less than 1024 x 768. I therefore decided that although I wanted those visitors to have access to my content, I did not require the site to be responsive. The return on my investment simply did not justify my time. Deciding whether to make a fix to the site involves balancing the time involved in fixing the bug with the severity and the number of users encountering it. This demonstrates why analytics are so important for browser testing. Looking at analytics will indicate how much time you should spend fixing particular issues in different browsers. It is then a matter of weighing up the time involved in fixing a bug with the number of users who will encounter it and the bug’s severity. In many cases an issue either does not need fixing at all or can be put off until after launch. With your browser testing done and the decision to launch made, what do you need to consider before flipping the switch and make your site live? I’m not going to tackle the subject of launching a website in any great depth because Andy Wickes has already written an excellent pre-launch checklist elsewhere on this site. 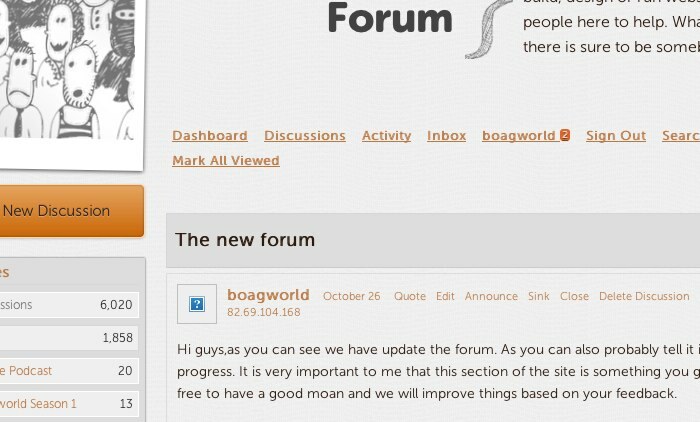 Instead I want to share a couple of lessons learnt from launching the new Boagworld design. Personally I hate launching sites and avoid it by letting the experts at Headscape do their thing. However, when it came to Boagworld there was no avoiding my responsibilities. Fortunately, I did at least one thing right. That was to have my development copy of the site on the same server as the live one. Instead of working on a local copy, I worked on a version at hello.boagworld.com. Having the new website hosted on the same environment made life much easier. It was just a matter of turning off one site and making the other live. There was no last-minute configurations problems with the server. Not everything went entirely smoothly. 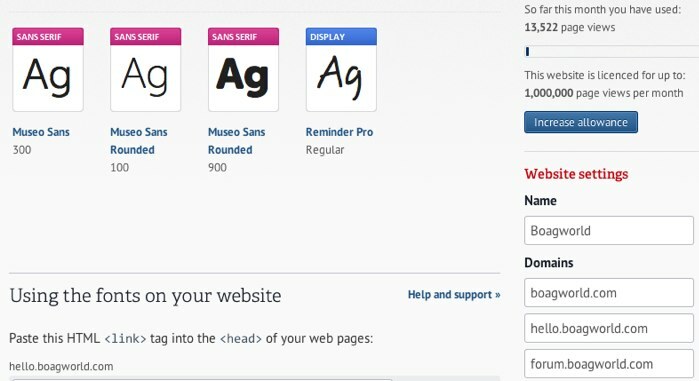 I had to update FontDeck because it was only registered for hello.boagworld.com rather than the master domain. I also had to update my API key for twitter before hovercards and the tweet box worked. There were other minor issues, however none of these needed dealing with immediately and so went on my post-launch fix list. With the website is live it would be easy to sit back and congratulate oneself on a job well done. In reality launching a website should be the beginning of the process, not the end. For a start I still have my list of fixes to address. After that I have a list of ideas that would improve the site. This second list should never get completed as I think of ever more ideas to go on it. While working on my list I will also be gathering feedback about the website. This is a crucial stage in the process. As I’ve already said, no amount of usability testing competes with the feedback you can gather when the site goes live. Take time to let users adjust to your new site before acting on their feedback. That said, it is important not to react immediately to the feedback you receive. The comments in the first couple of weeks can be very reactionary and not a good indication of how effective or otherwise your site is. Users often react negatively to a new design because they do not like change. It is important to allow them time to adjust before acting on their suggestions. Equally you need to be wary of positive comments from the first few days. 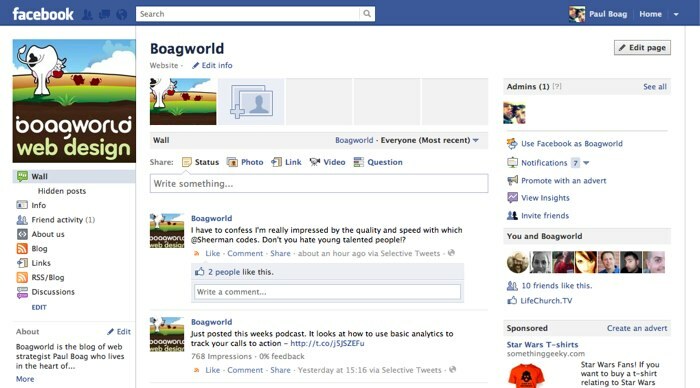 For example Boagworld has been received very positively, which is excellent. Yet sometimes audiences can be superficially impressed by a website despite fundamental usability flaws. You need to give them time to fully explore the site before making judgements based on their feedback. Because it will take a couple of weeks to identify and tackle any major issues, it is wise to wait before publicising the site too heavily. Resist the temptation when launching a site to tell the world. In my experience this can cause problems. A better approach is to do a soft launch, wait 2 weeks and then begin promotion. Of course this means planning from the beginning of the project and not allowing testing time to be squeezed out. This is easier said than done, but the damage caused by a high profile failure makes “bedding in” time crucial. And so we come to the end of this series of posts. I hope you found this case study of the Boagworld rebuild useful. The next season of Boagworld will be released in April and will tackle very different subject matter. In this season (and accompanying book) I will look at the working relationship between web designers and their clients. I’m concerned that there is considerable negativity between both parties and yet see so much potential for a collaborative working relationship. By the end of the season you will hopefully know how to work in close partnership to produce better websites with considerably less stress.